When it comes to drinks around here, water is the number one choice. The kids do love a glass of milk with their meals, especially Little Sister B, but water tends to reign supreme the majority of the time. But when it comes to drinking plain tap water, I don't even like to think about the stuff that might be in it. Contaminants, microbial cysts, lead, metals, chlorine... yuck, there's no way I'm knowingly letting my kids put that into their bodies. So, as we gave up buying bottled water quite a while ago, our long-time solution has been a great water pitcher from PUR. It provides clean, fresh, great-tasting water that I can rest assured is helping (and not harming) my family. The only thing that could be more convenient would be to not always have to take our pitcher in and out of the fridge and remember to fill it up, but instead to just turn on the tap and have filtered water come straight out. 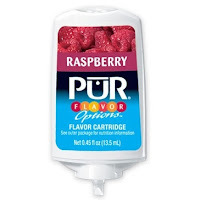 Which, now that I think about it, is pretty much the definition of what happens with the PUR Flavor Options Faucet Water Filter and the healthy (and tasty) convenience it provides. 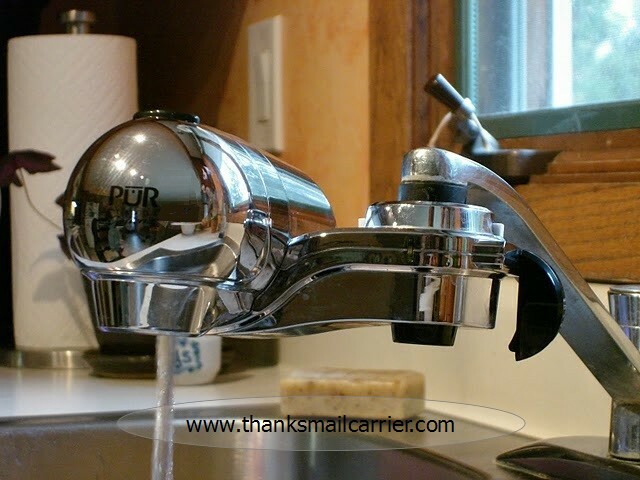 All of my previous notions about mounting a water filter right on the faucet centered around having to have tools and knowledge about plumbing, so the idea of a One-Click product that could accomplish the same thing was enticing. ...Until I walked over to my sink and looked at my pull-down faucet and knew I had a problem. No worries, I recruited a good friend who, fittingly, admitted that she didn't drink enough water because she just doesn't like the taste... and has complained to her husband about the strong chlorine flavor that she isn't fond of. 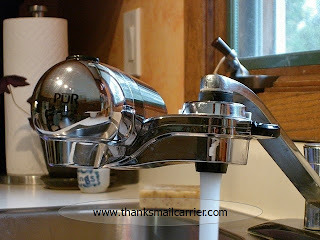 Handing over this PUR Flavor Options Faucet Water Filter, there wasn't much more to do than simply click it right on. 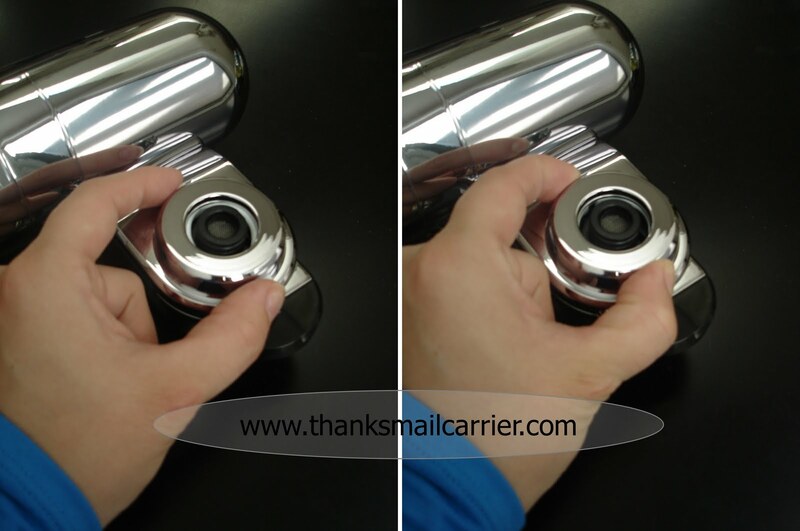 With literally just a squeeze, it wasn't hard to see why the name One-Click Faucet Mount works for these innovative filters. After unscrewing the cap and installing the filter, one snap later and this fits right onto the existing faucet and is ready to use. The addition of the full 360° swivel feature makes it easy to have your PUR Water Filter in whichever location works best - whether in front for filling a glass or pushed out of the way for washing the dishes. Plus, with the easy installation and removal, if you really needed more space in your sink, one click is all it takes to have your filter taken off for as long as necessary. See that black horizontal switch on the far right of the PUR Filter? By flipping that vertically, voila! Filtered water at its finest. The water pressure does decrease when the filter is turned on, which makes sense considering it has to take out contaminants, pollutants, metals, sediment, pharmaceuticals and more at a moment's notice. And how do you know it's working? By the handy built-in indicator that flashes green, yellow or red (it lights up just for a few seconds when you first direct water through the filter) and lets you know when it's time for a replacement. 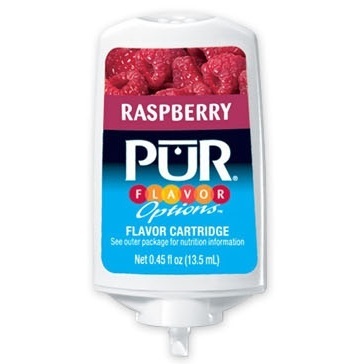 Plus, for an added burst of flavor, with one press of a button you can add a tiny amount of raspberry, strawberry, grape or lemon fruit flavor right into your glass of water. The Flavor Options are easy to pop in and out and provide up to 75 servings that contain no sugar, calories or dyes - perfect for cutting down on soda and juice or just for a tasty addition to the crisp, clean water the filter provides. There has never been an easier or more reliable way to get safe, PUR filtered water only when you want it. 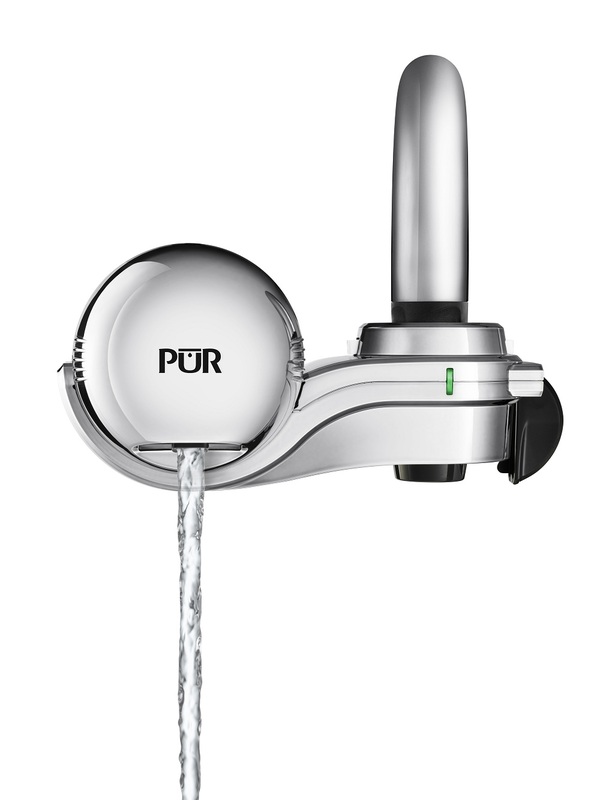 Through just one click, the PUR Flavor Options Faucet Water Filter provides up to 100 gallons of filtered water, meaning you'll have 2 - 3 month's worth of clean, tasty water the whole family can enjoy at the flip of a switch. It couldn't be more convenient! 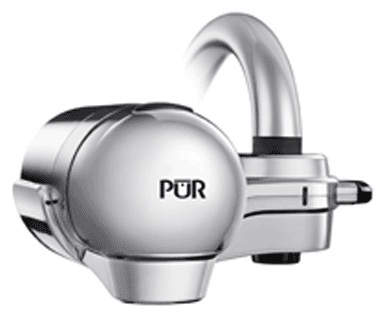 One lucky person will win a PUR Flavor Options Faucet Water Filter! To enter to win: Visit PUR and tell me something you found interesting or another product you would like to try. 3 Extra Entries if you blog about this giveaway linking back to Thanks, Mail Carrier and PUR. Please leave an address where it can be found. Giveaway will end on November 19th at 11:59pm CST. Do me the favor of leaving an email address or making absolutely sure it is visible in your profile, I have to have a way to contact the winner. The winner will be chosen by random.org and announced here as well as emailed and will have 48 hours to contact me or respond to notification or a new winner will be chosen. This giveaway is open to residents of the U.S. and Canada only. 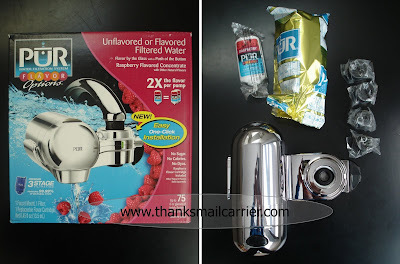 A big thank you to P&G for providing a PUR Flavor Options Faucet Water Filter for me to review as well as for one lucky giveaway winner. The opinions shared are my own and honest if you really need to see more, click here to see how I roll. I found it interesting that this model uses a 3 stage filter where the other model uses a 2 stage filter. I follow on twitter and tweeted this giveaway...as humanecats. another product i would like to try is the PUR 2 Stage Water Pitcher with Electronic Filter Change Light. PUR, in alliance with the Children’s Safe Drinking Water program, has helped educate people on the importance of clean water and distributed PUR water purification packets. The flavor options look interesting. Kids would like that. I've entered the Pillow Pet giveaway. I've entered the Tiny Love Treasures giveaway. I've entered the My Baby's Green giveaway. I've entered the Innovative Kids giveaway. I've entered the SanLori giveaway. I'm a new follower from Follow Me Back Tuesday! Would love a follow back :) You can also follow me on Networked Blogs & Facebook! We so need this system in Texas. THe water is really lousy. This system seems to be most ideal. Thanks for the wonderful giveaway. I found it interesting & really like that it removes 99% of all lead. I like Pur Water on FB. I commented on their wall on FB. I learned they distribute pur drinking packets to help those in need and educate about the importance of pure drinking water. I would also love to try the Stage three vertical mount filter! On the right scrolling under "places where I hang out"
I'd also like to try Pur Water Pitcher. #2 I follow you via GFC. #2 I subscribe by email. I "like" you on FB (under my name, Piroska). #2 I "like" you on FB (under my name, Piroska). I want to try the raspberry flavor option! I'd like to try out their refrigerator filter. Ours never seems to last very long, and the ice tastes funny. I've entered the Reeves giveaway. I've entered the Time Buddy giveaway.